Ken and Clara served together in the Midwest for 20 years before beginning a time of moving which included assignments in England, Indonesia, and China before landing in Simpsonville. He has four grown children living in New York, Simpsonville, Florida and Iowa and also has four grandchildren. He is also currently serving as the children’s supervisor with Bible Study Fellowship. Ken has a heart for discipleship. 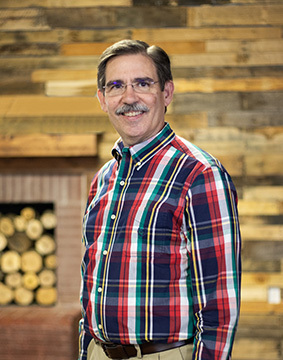 Ken earned his Doctor of Business Administration from Anderson University (Indiana), Master of Science in Management from Krannert Management School, and a BS in Industrial Engineering from Purdue University. Previous ministries have included serving as an elder in Indonesia at Jakarta International Baptist Church, teaching Adult Bible Fellowship classes, planting a church in Illinois, coordinating small group ministries, serving as Christian Education Director, coordinating church budget committees, coordinating welcome ministries, teaching leadership retreats, and coordinating church strategy development.